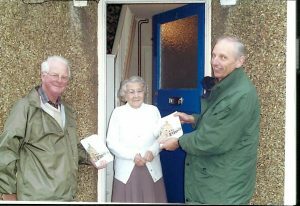 We aim to visit every home in the Parish twice a year and encourage all the congregation to help with this ministry. This year it resulted in over 700 people coming to our Christmas Fair. We also visit a number of Care Homes in the Parish each month to conduct a communion service and pray with the residents and staff .